3) on top of this, since my statement closes later in May, it will be too late to charge my credit card with the necessary spending in order meet the minimum 5,000 pts required to convert. (I already converted many points into BA miles). I contacted RBC about my dissatisfaction, but they did not come up with any solution. 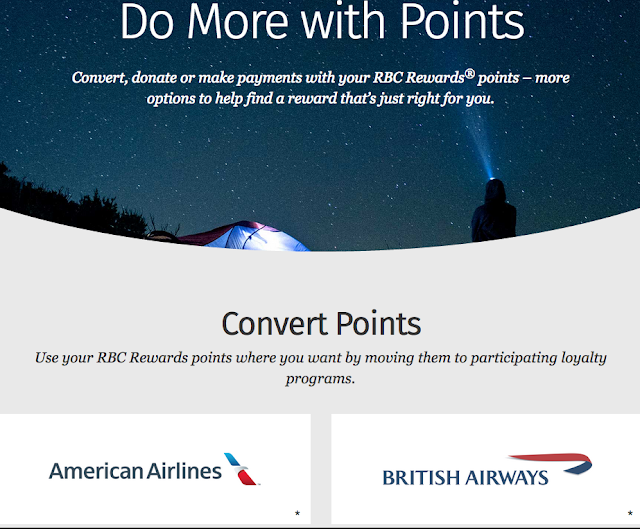 As I only use that card to convert the points into BA and AA miles, I told them I will stop using the card. So you may have a little recourse until those T&C's are updated to try and snag 1 Mile per point from RBC. Otherwise this AAdvantage mile earning option for Canadians just got worse. Your best bet for earning AAdvantage miles now in Canada is the Starwood Preferred Guest Credit Card from American Express. Question to all of you Avion cardholders who hold this card primarily for AAdvantage miles. What are you planning to do now that the redemption rate has been lowered?